You can bring your dog to the office! We're entering the final stretch of 2018, and if you want to start off the new year with a new job, you may want to dust off that résumé and check out Fortune's newly-updated list of the world's 25 best workplaces. Compiled with Fortune partner Great Place to Work, the lineup includes some top-rated standbys (information technology company Salesforce nabbed the number one spot for the second year in a row), a handful of hospitality groups (Hyatt and Hilton both made the cut), lots of financial organizations (American Express, Daimler, and Scotiabank, to name a few), and one candy giant—Mars Inc. (ranked number three). The company behind M&M's, Snickers, Twix, and Skittles seems to have a pretty laid-back office vibe. For one, you can bring your dog to work (this may have something to do with the fact that Mars also owns a large portfolio of pet food brands). And, according to one employee quoted by Fortune, "all of our desks are open layout, and everyone is like a family in this together. We have the freedom to come and go as we please and no one is micro-managing us or checking to make sure we are doing what is expected." 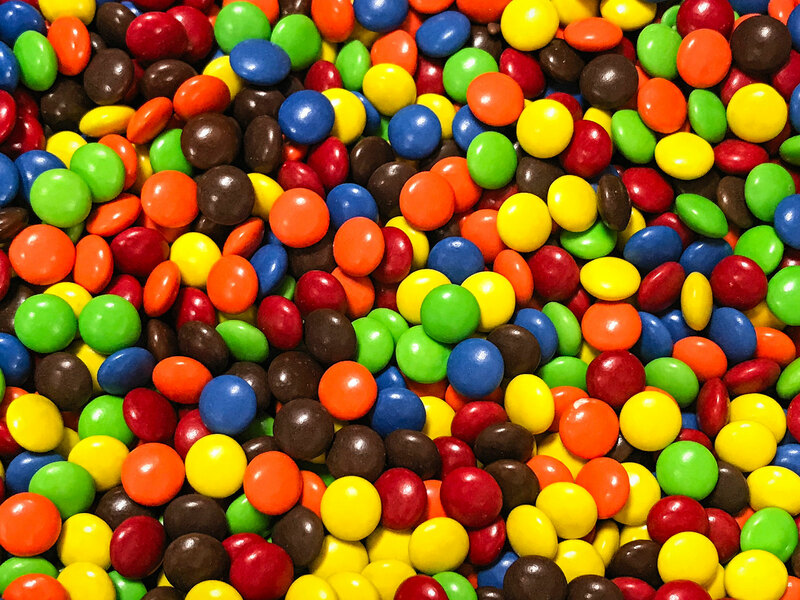 One perk that wasn't mentioned, but for sure exists: getting to test out all those new M&M flavors (Toffee! Jalepeno! Coconut! Crunchy Mint!) before they hit store shelves. If you're wondering how, exactly, Fortune and Great Place to Work chose their top 25 workplaces, it's an involved process. First, they combed through written reviews that were submitted anonymously by a total of 2.7 million employees in 51 countries. Companies were then scored on "respect, fairness, pride, camaraderie, and trust," and bonus points were awarded to multi-national organizations that had already appeared on previous Best Workplaces lists in multiple countries.